Host a webinar for free. www.bigmarker.com Join and host web conferences with online groups who share your passions and interests. Share what you know & love today! Flip your classroom with this video presentation web tool. ironjunkies.com Create a presentation!! PicMonkey is an online photo editing website. www.picmonkey.com PicMonkey Editor is an easy to use online photo editor. Apply filters, add photo frames, add text to your photo, remove wrinkles, whiten teeth and more. Get your point across with fewer words using annotation, shapes and sketches, so that your ideas become reality faster.﻿ Use Skitch within Evernote. evernote.com Get your point across with fewer words using annotation, shapes and sketches, so that your ideas become reality faster. Design flyers to spread information online. www.smore.com Looking for fast and easy mailing lists? Get stylish, effective results in 5 minutes or less. Canva is a great online design tool. There is also an iOS app for Canva. www.canva.com Canva makes design simple for everyone. Create designs for Web or print: blog graphics, presentations, Facebook covers, flyers, posters, invitations and so much more. Create online pages with Tackk. www.tackk.com Tackk is a place to connect with friends, be creative and have fun conversations. Build infographics, presentations, or videos via Visual.ly. visual.ly Create engaging infographics, videos, and ebooks for your marketing campaigns. We make premium content creation fast, simple, and affordable. Blendspace is the easiest way to blend your classroom with digital content. www.tes.com Make learning fun with Tes Teach with Blendspace, the free and easy edtech tool teachers love for lessons, projects, presentations, and more. No planning needed. 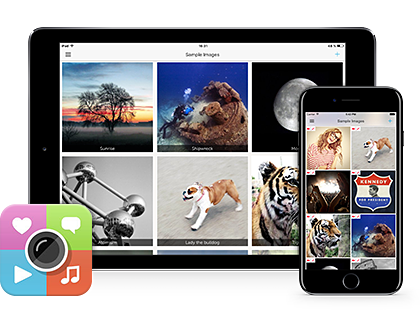 ThingLink is the leading platform for creating interactive images and videos for web, social, advertising, and educational channels. www.thinglink.com Seamlessly make your images, videos, and 360 content interactive with text, links, images, videos and over 70 call to actions, creating memorable experiences for any audience. Make any video a lesson with EDpuzzle. edpuzzle.com Make any video your lesson. Pick a video, add your magical touch and track your students' understanding. 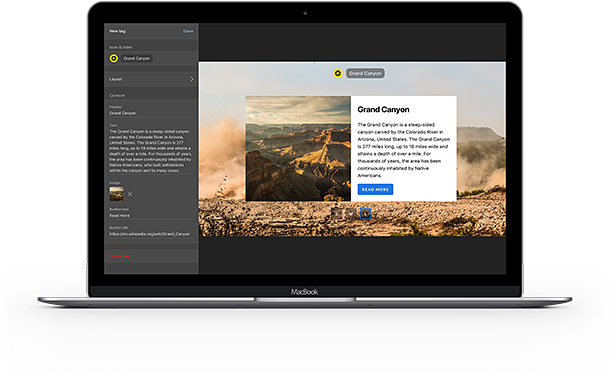 Teachers use Zaption’s intuitive web app to quickly add images, text, quizzes, and discussions to existing videos from YouTube, Vimeo and private video libraries.﻿ Free and paid version available. www.zaption.com Zaption provides free interactive video tools and ready-to-use video lessons to engage learners. Our video platform is perfect for K-12, higher ed & training. 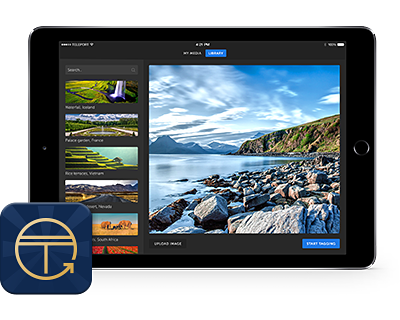 Turn your photos and music into stunning video slideshows. You provide the photos, you pick the song, and we&apos;ll add the magic. Give it a try - it&apos;s fast, free and shockingly easy. animoto.com Create engaging videos with Animoto's easy video tool for educators. Combine photos and video clips to make recaps of school events, fundraising videos, and class projects. Meet Haiku Deck, a completely new kind of presentation software. We make telling your story simple, beautiful, and fun. www.haikudeck.com Presentations That Inspire. Meet Haiku Deck, a completely new kind of presentation software. We make telling your story simple, beautiful, and fun. Get Started. With PollEverywhere one can create real-time experiences for events using mobile devices. www.polleverywhere.com Poll Everywhere is the easiest way to gather live responses in any venue… conferences, concerts, classrooms, and company off-sites — anywhere with internet. We've been working to end 'death by PowerPoint' and raise the bar on presenting since 2008. More than 4,000 schools and 100,000 teachers poll with Poll Everywhere. Our customers include universities like MIT, Stanford and Harvard. Companies like Microsoft, Google, TED, McDonalds, Starbucks, and over 50% of the Fortune 1000 use Poll Everywhere. Create interactive game-based quizzes for your classroom reviews. create.kahoot.it Create a game of Kahoot! here. Kahoot! is a free game-based learning platform that makes it fun to learn – any subject, in any language, on any device, for all ages! With intuitive features and unlimited storage, quickly create groups, assign homework, schedule quizzes, manage progress, and more. With everything on one platform, Edmodo reinforces and enhances what you&apos;re already doing in the classroom. www.edmodo.com Edmodo is an easy way to get your students connected so they can safely collaborate, get and stay organized, and access assignments, grades, and school messages. VoiceThread is a cloud application that allows users to upload, share and discuss documents, presentations, images, audio files and videos. Users can comment using a microphone, webcam, text, phone or audio-files. Share or keep VoiceThread private. voicethread.com Transforming media into collaborative spaces with video, voice, and text commenting. Mix text, audio, video, images, graphics and more from your files, our pre-designed graphics, or around the web using the inbuilt Web picker browser, yielding high-impact content with simple elegance with Glogster. edu.glogster.com The creative visual learning platform that every educator and student deserves. Make any webpage print friendly. www.printfriendly.com Make a Printer Friendly & PDF version of any webpage. Upload content (PDF files, documents) and publish online or embed. issuu.com Millions of readers find and share the magazines, catalogs and publications they love on issuu. Convert file types without having to download software. www.zamzar.com Free online video converter, audio converter, image converter, eBook converter. No download or account required. Online workspace with notebooks that sync across devices. evernote.com Bring your life's work together in one digital workspace. Evernote is the place to collect inspirational ideas, write meaningful words, and move your important projects forward. The easiest way to scribble and share maps. www.scribblemaps.com Easily Create and Share Maps. Share with friends, embed maps on websites, and create images or pdf. Create gorgeous word clouds with this free tool. wordart.com Tagul is an online word cloud generator that enables you to create amazing and unique word cloud art with ease. It's free for personal use. Need to find what font looks best with your text? Use WordMarkit to choose a font. wordmark.it Wordmark.it helps you choose fonts by quickly displaying your text with your fonts. SlideShare has grown to become the world’s largest community for sharing presentations and other professional content. www.slideshare.net Discover, Share, and Present presentations and infographics with the world’s largest professional content sharing community.